As a part of Monday’s release of iOS 4.2, Apple will make the “Find My iPhone” set of remote-control features previously found in its $99-per-year MobileMe service available for free to owners of at least one iPhone 4, iPad, or fourth-generation iPod touches. Once users upgrade those devices to iOS 4.2, they can enable the feature by opening the Settings app, tapping on “Mail, Contacts, Calendars,” and then tapping Add Account. From the next menu, tap on MobileMe. The new MobileMe account prompt allows you to enter a MobileMe user name or your Apple ID—in other words, the same user name and password you use to buy media or apps via iTunes. There’s also an option to create an Apple ID right from within the app. Once Apple’s system verifies your ID, you’ll be able to turn on the Find My iPhone (or iPad, or iPod touch) feature. 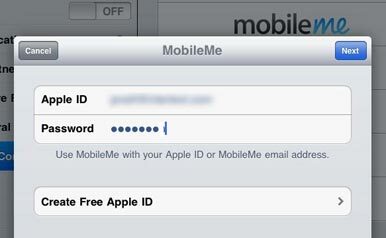 Now you can enter in either a free Apple ID or a paid MobileMe account ID to access Find My iPhone. 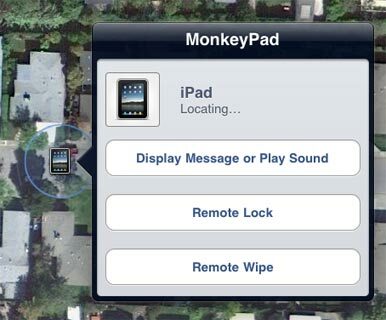 Like the name says, this feature allows you to find your iOS device when you’ve lost it. To access the Find My iPhone set of features, users can log into Apple’s MobileMe site at www.me.com or use the Find My iPhone iOS app. An iOS device can use two different methods to determine its location. The iPhone and 3G iPad come with a GPS receiver, so they can triangulate their location using satellite technology. Wi-Fi-only devices use a less precise (but still quite effective) system that uses nearby Wi-Fi base stations to figure out their location. The downside of this approach is that if your device isn’t on a Wi-Fi network, it can’t look up its location or relay it back to you. So if you leave your iPod touch under your desk at work you’re covered, but if you drop it in a field in the middle of a hike, forget it. Find My iPhone's features as seen through the iOS app. Though Find My iPhone does indeed let you view the location of all your iOS devices on a map—my wife uses this to figure out where I am and when I’m coming home for dinner, which is why we call it “Find My Husband”—it’s not the only thing the feature can do. If you lose your iOS device but just know it’s around somewhere you can use Find My iPhone to make it play a sound, even if it’s been set to operate silently. You can also make it display a message, which can be useful if you’re trying to ask whomever found your lost device to give you a call and return it to you. 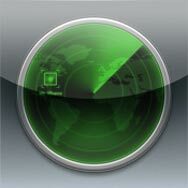 Two other features of Find My iPhone allow you to secure the device when it’s out of your hands. Remote Lock lets you add a lock code to your device remotely, so that whomever has it can’t unlock it and see your data. And Remote Wipe will irrevocably delete all your data. Despite this feature being free for the users of new hardware, all the other features of Apple's MobileMe subscription service remain available only to those who pay the $99—or sometimes smaller—annual fee.